A public art project created during the LOVE Modesto April 2013 event. 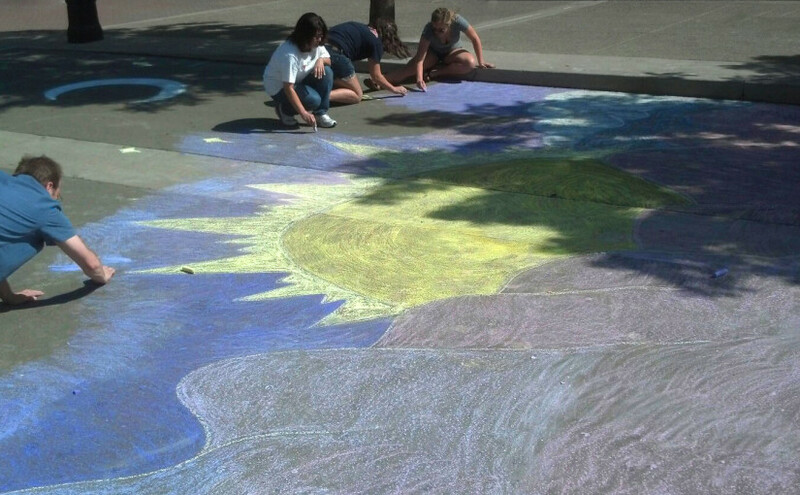 The Chalk Walk of Art recreated a large-scale landscape representing the bounty of the Central Valley, similar to the New Deal/WPA murals by Ray Boynton in the recently closed downtown Post Office. 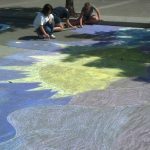 The final project was created through the direct participation of over 25 Modesto volunteers, and most importantly, the artwork gave residents the opportunity to see how they could use art to transform their community.